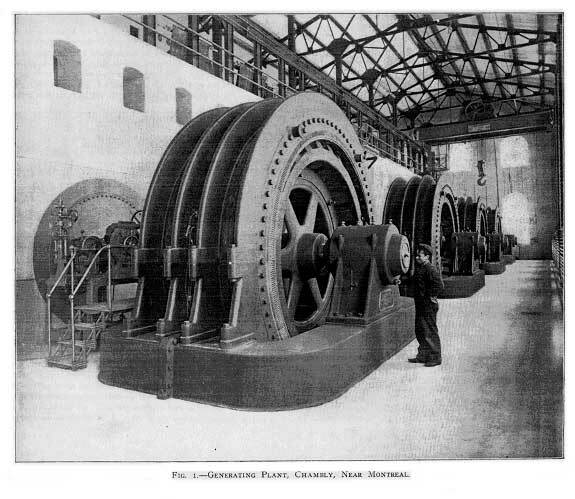 Niagara was not the only Canadian waterpower site that held great promise for hydroelectric development. There were sizeable rapids on the Richelieu River at Chambly, just 17 miles from Montreal. Because of the short distance, it was decided to energize the line directly from the generators and save the cost and upkeep of a bank of transformers. Two four-wire pole lines were operated at 12kV and went on line in June 1899. The plant delivered more than 10,000 horsepower – respectable for its time. 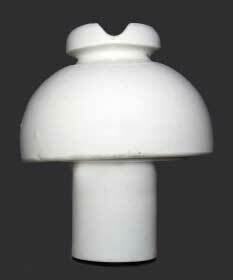 The line insulator was the rare U-945 manufactured by Thomas using the Boch-patent glaze-filled technique. A fascinating account of the feud between Fred Locke and Thomas is given in Elton Gish's biography of Fred Locke.